The painting is four panels — two depicting Alfred E. Neuman, the jug-eared mascot of Mad magazine, two picturing Phyllis Diller in characteristic fright drag and clutching an issue of that same magazine. The 2014 picture is by Julia Wachtel, an artist whose work holds up a glass to the fun-house distortions of our culture. On a bitterly cold Sunday afternoon, Elizabeth Dee, a gallery owner showing at the fifth annual Independent Art Fair in Chelsea, is offering the $50,000 painting to Dr. Fredric Brandt, an art collector and unnervingly ageless-looking personage, a man who is himself intimately familiar with the trick mirrors of society. With her face lifts, breast reductions, neck lifts, nose job, chemical peels, cheek implants and tummy tucks, Phyllis Diller was an early and unabashed adventurer into the strange and constantly evolving frontiers of cosmetic medicine. 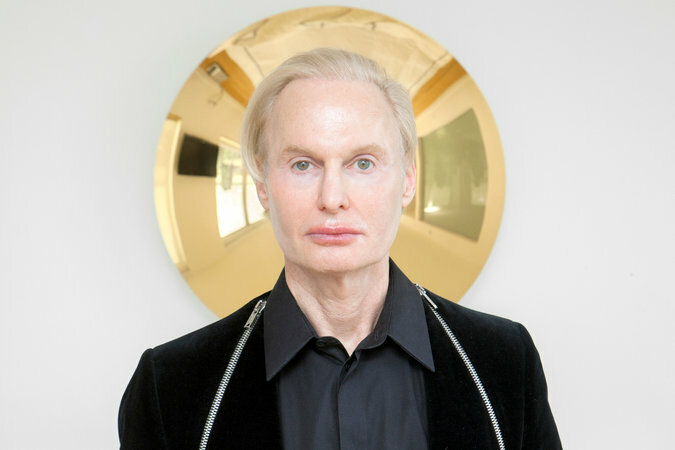 Over the course of a three-decade career, the dermatologist has proved himself to be a spiritual descendant of Diller and probably every other voyager gone in search of the fountain of youth.